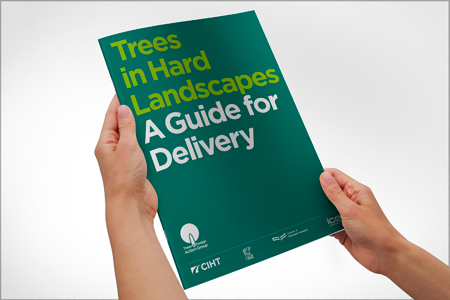 Trees in Hard Landscapes: A Guide for Delivery was launched by TDAG (Trees & Design Action Group) on 14 September 2014 at the Arboricultural Association annual conference held at Royal Holloway in Egham, Surrey. This new guide explores the practical challenges and solutions to integrating trees in 21st century streets, civic spaces and surface car parks, detailing process, design and technical options. It will be of particular interest to highway engineers, public realm professionals and tree specialists.